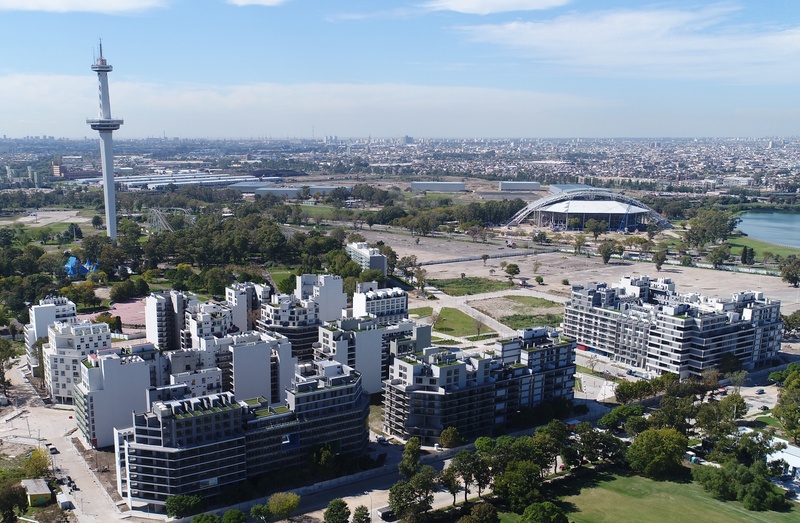 All Gymnastics competitions at the Buenos Aires 2018 Youth Olympic Games take place at the America Pavilion in the Youth Olympic Park. This park is located in the southern area of the city, in front of the Olympic Village, and combines the competition of twelve sports with artistic and cultural activities. Its concept is cultural diversity and it will be a meeting point for athletes and the local community. At the Youth Olympic Park, sports meet art and culture. Throughout the extensive park, a wide variety of sports competitions take place alongside artistic workshops, collaborative murals, massive games and music shows that offer a great opportunity for enjoyment with family and friends. In addition, its proximity to the Olympic Village makes this park a unique opportunity to meet athletes and share the values of the Olympic Games.